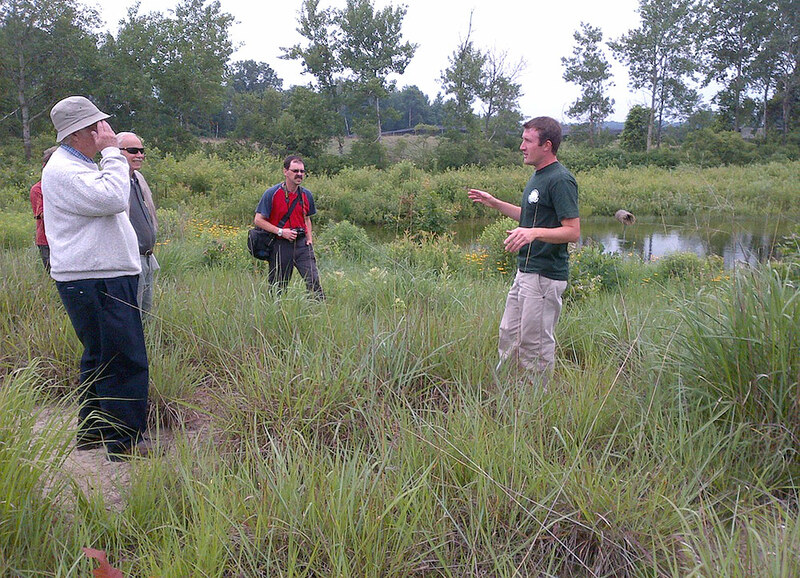 Through projects funded by ALUS Canada, ALUS farmers and ranchers actively produce ecosystem services on the working landscape. ALUS WUQWATR participant Robin Nell has several ALUS projects on his Saskatchewan farm. ALUS Norfolk helped Greg Vermeersch establish native tallgrass prairie on Van Meer Farms, an 8,000-acre operation in Norfolk County, Ontario. ALUS Norfolk helped participant Joe Csoff rehabilitate a washed-out gully and establish a thick vegetated buffer near the North Creek wooded ravine. ALUS Vermilion River participant Trent Selte is improving water quality and wildlife habitat in many ways by enhancing wetlands on his farm in County of Vermilion River, Alberta. ALUS Norfolk participant Paul Mauthe has devoted several acres at the rear of his property to native prairie grasses, trees and shrubs around a new wetland, doing his part to help protect Delhi's supply of drinking water. In these photos, follow the nine-year evolution of the first ALUS Norfolk demonstration project, located on Vic Janulis' farm. In January 2014, the Johnson family became the first in ALUS participants in Red Deer County, Alberta. ALUS Red Deer participant Kevin Ziola used ALUS funding to create year-round watering systems to help conserve the creek and wetlands on his land. Cattle producers Charles and Meriel Tavernor are among the first ALUS participants in Manitoba. In this video, ALUS Little Saskatchewan River participant Kevin Pederson shows how his family is incorporating ALUS projects into their farming practices. ALUS Parkland program coordinators help install an ALUS fencing project that will protect creeks and the shoreline of Lake Isle. Meet Brian Headon, an ALUS Vermilion River participant and PAC member, in a video from ALUS' "Stewards of the Land" series. ALUS Parkland's Carla Rhyant appears in ALUS' "Stewards of the land" video series. Video: ALUS Red Deer County participant Aron Lutz has established a dozen ALUS projects on 41 acres of his land.